Now what do you do? Well, there's really not much to do now in Pewter City. The museum here is a waste of time and precious money; it'll only be worth a visit later in the game when you get Cut. You can then Cut your way into the house next to the museum, and obtain an Old Amber, which can be ressurrected into an Aerodactyl. Leave the city through the East. Before you can leave though, one of Prof. Oak's aides will come up to you and give you a pair of Running Shoes! Hold "B" while moving in any direction to speed up your traveling. 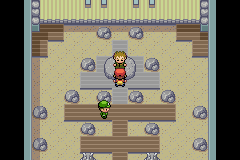 At the end of Route 3, you'll see a Pokemon Center. 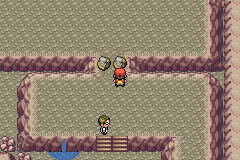 Go in there and heal your Pokemon. Inside, a guy will sell you a Magikarp for $500. Even though it'll soon evolve into a strong Gyarados, I suggest that you don't buy that, and fish for a Magikarp later instead. 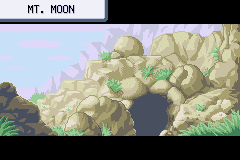 After going out of the Pokemon Center, you'll be at the foot of Mt. Moon.